I was in shock this morning as I turned on the TV and learned that the Pope is resigning. 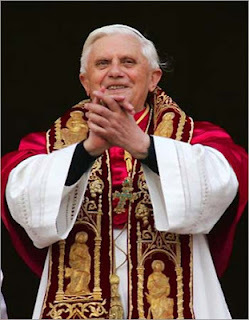 I absolutely love Pope Benedict XVI. My first reaction was that I hoped he'd reconsider. But on second thought, I guess he doesn't want to be a senile pope and leave the Church with a power vaccuum. That's a very wise decision. I hope he is lucid enough to continue writing. The world needs this man. I will not be publishing any mean comments about the Pope in this thread. I am in mourning. 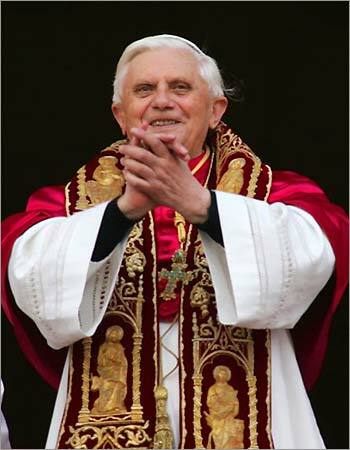 I just want to have positive and happy thoughts about the Pope today. The political and apologetical crap can wait. UPDATE at 1:09 pm : I have a ton of comments in the queue, and I'm busy, so please be patient.